The launch of the new “Do It Yourself”, or “DIY”, video and accompanying PR campaign is a major initiative for ARRL. In 2006, ARRL’s Public Relations Committee began three major recurring themes aimed at the general public and inactive Hams. There are: 1) the “Hello” campaign which describes on air fellowship, DXing and contesting, 2) “Emergency Radio” emphasizing emergency communications, and 3) “We Do That Radio” concentrating on experimentation and design. All three have web pages on the main ARRL website and are designed to be destination web pages through search engines. Please take a look at each after finishing this explanation posting (URLs below). It’s no secret that the “Emergency Radio” website has been the theme with the greatest emphasis and dedicated resources following Hurricane Katrina and other disasters. The time became ripe, however, to return to a balance by focusing again on the other two themes. Until today, ARRL has not released a major, general purpose video since “Amateur Radio Today” hosted by the late Walter Cronkite, KB2GSD. The DIY video is aimed at hobbyists, a segment which makes up a large portion of Hams, and reinforces the “We Do That Radio” campaign. Accompanying the video are printed materials and PowerPoint presentations. Please use them and encourage your fellow section officials to use them too. Experimentation, kit building and design are a growth industry. If you haven’t already, find a “Maker Faire” event near you and plan to attend, or better yet, host an ARRL table using DIY materials. Maker Faires, a DIY movement, now holds dozens of “faires” which are like hamfests across the country. The people who attend Maker Faires are prime candidates to become Hams, and these faires draw thousands. You can find one near you at http://makerfaire.com Also, with renewed interest among educators in STEM (Science, Technology, Engineering and Mathematics), DIY is a natural area to share with schools and colleges. If you have any questions, please contact me or ARRL’s Media & Public Relations Manager Allen Pitts, W1AGP. Thanks and Happy New Year. The South Canadian Amateur Radio Society has announced a class at the National Weather Center starting January 19 from 7 p.m. to 9 p.m. The class will continue through March 8 with a test slated for the last night. The Club has also developed a web page for mobile phone users. Thanks to Allan, KB5DOH for the information. http://www.arrl.org/find-an-amateur-radio-license-class lists this class. Are there others? First of all, I’d like to apologize for my lack of updating on this news page. Things have been VERY busy around the QTH. Between the Texhoma and Enid hamfests, working on my new shop, occasionally baby sitting the new grandson, Wilma preparing to retire and OSU football, I’ve been booked up. I didn’t even get to attend the Noble Co. Repeater Groups Christmas Dinner because of baby sitting the aforementioned grandson. So, after the holidays, I hope things will get back to some semblance of normalcy. The Texhoma hamfest, was a great success! Lots of attendance, lots of forums and lots of goodies. Being the West Gulf Division hamfest was an opportunity for the fest to really shine and show folks how good a fest it is and will be in the future. I look for more and more great things from Henry Allen and the committee. I know our Director and Vice-Director had a great time and David Woolweaver, K5RAV, presented some books to the Viking Radio Club out of Lawton….but I got to beat him to the punch. He gave them the 2011 Handbook……..I got them the 2012 version!! Sorry, David! Those Vikings are really going great guns. Be listening for them on the bands, especially during the School Roundup and other events. Next, the Enid hamfest was another big success. The Enid crew did an excellent job with it. They were worrying about being able to pull it off, but I’m here to tell you, they did a superb job. In addition to the League/ARES forum, Mary Peelman and Jack Skinner gave a traffic handeling forum. Really good stuff. I’m going to see if they will give it at all the hamfests in 2012. I want to thank Jay Kruckenberg, K5GUD for handeling the ARES forum in the absence of our SEC, Mark Conklin, N7XYO. I will not be able to attend Green Country hamfest this year as my son is getting married that weekend. I know, I know, but some things take precedence. Director David Woolweaver, K5RAV will be there as well as most of the section cabinet, so they should be able to answer any questions you may have at the booth. Well, that’s about all I have for now…..remember, contact myself or one of the section cabinet members if you need anything. We are all listed on the ARRL Oklahoma Section part of the website at the bottom of the page. I do want to wish everyone in the section a VERY MERRY CHRISTMAS AND A HAPPY NEW YEAR! I hope Santa brings you all the new goodies you want! WASHINGTON - As 2011 - one of the most active years for disasters in recent history - comes to a close and Americans get ready to ring in a new year, the Federal Emergency Management Agency is encouraging all Americans to Resolve to be Ready in the by making a new year's resolution to be prepared for emergencies. As a recent report by the National Climatic Data Center highlights, 2011 has seen more billion-dollar natural disasters than any year on record. This year alone, the U.S. experienced its first hurricane landfall since 2008, the most deadly series of tornadoes since the 1950s, significant earthquakes and severe flooding - hazards that impacted every region of the country. All of these events have served as important reminders that disasters can strike anytime, anywhere, and being prepared is one of the most effective things we can do to protect our homes, businesses and loved ones. Today, FEMA kicked off its annual campaign, Resolve to be Ready in 2012, which urges Americans to make preparedness a priority during the holiday season by making a new year's resolution to be ready for disasters or by thinking about preparedness tools for last minute gift ideas. "One of the most important lessons we can take away from this year is that disasters can impact all of us, no matter what part of the country we live in," said FEMA Administrator Craig Fugate. "While we can't control where or when they might hit, we can take steps in advance to prepare for them - efforts that can go a long way toward protecting our families, homes and business. Resolving to be Ready in 2012 could be the most important pledge you make this year." By making a resolution to take a few simple steps in advance, Americans can minimize the impact of an emergency on their families, homes or businesses. To take the pledge, visit www.ready.gov/resolve or www.listo.gov, which includes free information, checklists, and guidelines about how to put together a kit, make a plan, and stay informed. Resolve to be Ready in 2012 is a nationwide effort to increase awareness and encourage individuals, families, businesses, and communities to take action and prepare for emergencies in the New Year. This effort is led by FEMA's Ready Campaign in partnership with Citizen Corps and The Advertising Council. For more information, visit Ready.gov and CitizenCorps.gov or follow the campaign on Twitter using the hashtags #ready2012 and #resolve. 1. To become a Volunteer with ARES-Oklahoma you simply register at www.ARESOK.org (see #3 below). You do not need to be a member of any group, club or the ARRL. 2. To be an Leader within the ARES-Oklahoma, you apply at www.ARESOK.org. ARRL membership is required for all appointed leaders at the time of appointment to the leadership role. Note: you can join the ARRL on-line at www.ARRL.org and/or you can typically join at many local hamfests. * On the left side of the page click "* APPLY *"
* On the map that is displayed, click on your county. * Fill in the blanks, and click "apply." This adds your name to the ARES-Oklahoma register. For Leaders, once appointed (AEC and above), you will now have access to all the tools on the website that you'll need, such as reports, volunteer data, resource information, and more. Registering on-line associates your name and call sign with ARES-Oklahoma. Keep in touch with ARES-Oklahoma - go to groups.Yahoo.com/group/AresOklahoma and click "Join this Group!" on the right hand side of the page and sign up to receive all the latest ARES-Oklahoma news. Thanks to Mark Conklin, N7XYO for this information. The Oklahoma City Autopatch Association will hold its' annual Christmas dinner on 20 December (our regular meeting night) at 6:00 PM. We'll gather at the Furr's Buffet In Moore. All family members are welcome and one of Santa's elves will be bringing lots of goodies!!! Thanks to Tom, WA9AFM for this update. The search today produced this result. If it's not correct, contact KB9WCO directly. Todays date is Friday 9th December, 2011. In case you missed the recent announcement, here’s the information you’ll need if you’re thinking about applying for a scheduled Amateur Radio contact with the ISS through the ARISS program. Proposals are currently being accepted for contacts to be scheduled during the 2ndhalf of 2012. Here’s the news story: www.arrl.org/news/apply-now-to-host-a-real-time-conversation-with-crewmembers-onboard-the-iss. Read more about the ARISS program at: http://www.arrl.org/amateur-radio-on-the-international-space-station. Following is a list of states that have never participated in a contact with the ISS through the ARISS program: Arkansas, Connecticut, Delaware, Kansas, Minnesota, North Dakota, Rhode Island, South Dakota, Vermont, West Virginia, Wyoming, American Samoa, Guam, Northern Marianas Islands, and the Virgin Islands. ARISS would love to receive proposals from schools in these states and territories! If you have photos to share, please email them to any of the Public Information Officers in the Section. Just look at the number of Amateur Radio operators getting notices of their licenses in one day! Are local clubs reaching out to them to make them feel welcome to the hobby? Any of them needing help making their first contact? The USS Oklahoma Memorial Amateur Radio Club is holding a Special Event Station WW2OK in memory of the battleship, USS Oklahoma, which was lost along with 429 servicemen when Japan attacked Pearl Harbor on December 7th, 1941. WW2OK will activate from the War Memorial Park in Muskogee, Oklahoma, from 6pm CST on December 6th and run until 6pm CST on December 7th. Multi-Op and Multi-Band operations will take place in the general portion of the HF ham bands, with all modes and bands, except 60m, possible. 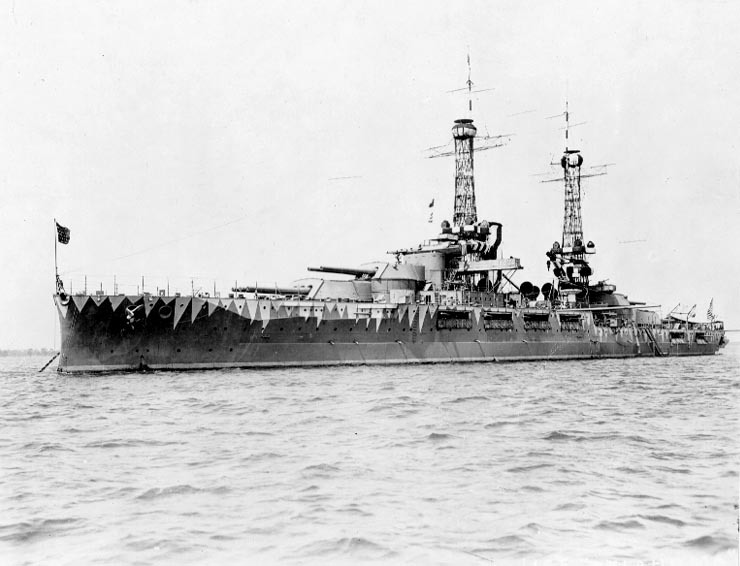 The largest remaining part of the USS Oklahoma, a section of the mast, is on display at the War Memorial Park in Muskogee, along with the USS Batfish, the World War II submarine built to avenge the losses at Pearl Harbor. A special “70th Anniversary” QSL card for contacts made during this event will be available after the first of the year. For more information about the event and the QSL cards, see the QRZ website. Thanks to Cindy Downes, K5CED for this update. http://www.dxwatch.com/dxsd1/dxsd1.php?f=0&c=ww2ok&t=dx gives up spots for the special event station operation. There was no specific times or frequencies were given in the report. According to Ron, AF5AS, it was a good day for amateur radio in Oklahoma. This report lists calls, sorted by state, issued or updated on: 11/30/2011.